Halo Neuroscience developed a new neuropriming headset because neurostimulation is the next area of focus with sport and technology. 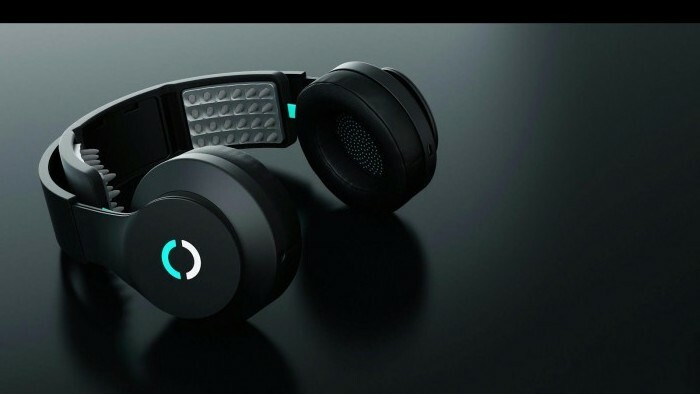 The Sports Techie community blog chatted with CEO and Founder, Daniel Chao, about their revolutionary tech invention, Halo Sport. 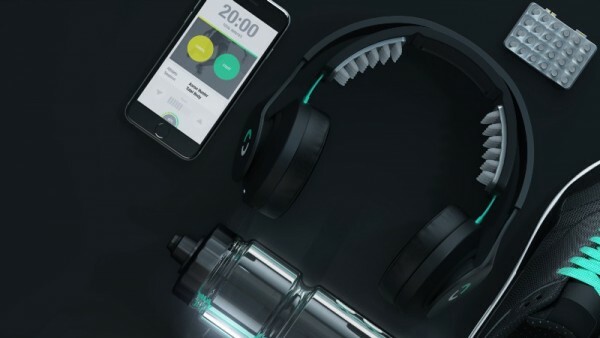 It looks like headphones, but it’s touted as “the first neurotechnology of its kind for athletes.” It uses pulses of energy to “prime” the brain and motor cortex for optimum physical performance enabling athletes to achieve more out of their training and practices. I was able to look at preliminary data on the benefits of using the product. Some of their existing users include the United States Ski & Snowboard Association (USSA) Center of Excellence, Michael Johnson Performance (MJP) and several Major League Baseball teams. Halo Sport recently launched a limited release of the “Champions Program” to allow a select group of weekend warriors that are not part of a pro sports organization the opportunity to champion the product. While many coaches and athletes focus on improving the body, the power of the brain in athletic performance is relatively understudied and underutilized. The initial effort of the Company is to create a full service enterprise product. Deep Brain Stimulators are part of a $10 billion industry. The size of the neurostimulation device market is projected to climb to $8.79 billion by 2020, according to a report by Grand View Research shared by MedCity News. Halo was founded to develop technology that allows anyone to unlock the brains full potential. Chao said, “Athletes want to fuel their body for a workout, Halo is that for the brain.” The founders originally created the Neuropace product, non-invasive surgical implant to help Epilepsy patients and are now releasing a product targeted at professional athletes. Similar to a pre-workout meal that fuels the muscles, this innovative product primes the brain to power athletes’ most efficient workouts. Halo Sport concentrates on the area of the brain named the motor cortex. This part of the brain is both mission control and the battery that fires your muscles – ie, its critical for both athletic skill and strength, according to Chao. A key concept to understand is the motor cortex is not a cognitive center, ie, it’s not involved in attention, concentration, working memory, etc. “It’s not just a question of muscles and bones. Halo Sport’s focus on the brain is potentially paradigm-shifting,” said Dr. Jim Stray-Gundersen, Sports Science Advisor | U.S. Ski & Snowboard Association. The company’s product is a neuropriming headset (which looks just like headphones like Bose or Beats by Dre) and is intended to unlock the brain’s full potential. At the beginning of a skill acquisition, strength or power workout, athletes apply Halo Sport similar to any pair of headphones and begin a Neuropriming session using their companion app. The app helps users unlock their potential with a tap. Available on iOS with an Android version coming soon, the Halo Sport app allows athletes the ability to target certain areas of the body, depending on the workout. The headset comes with attachable nodes that stimulate certain muscles through brain waves to enhance athletic performance. Soft foam Primers deliver gentle pulses of energy to increase the excitability of motor neurons. The product designers are confident with the Primer design as a huge step up for the field. The old days of sponges and gels are yesterday’s application. These Primers consistently and easily make clean contact with the scalp, even through course hair. Also, the ear pads are acoustically transparent. Almost all ear pads are acoustically insulating, which makes sense since headphone makers want to optimize for music quality. For Halo Sport, it’s more important for the user to be able to hear their coach/trainer and subtle auditory cues characteristic of their sport, as well as your favorite digital work out playlist. The product delivers an enhanced neural drive, or the strength and coordination of signals sent from the brain to the muscles. When the brain sends signals to muscles more efficiently, motor unit recruitment—or the number of muscle fibers activated—increases. As motor unit recruitment increases, gains in strength, skill acquisition, and explosiveness—or the rate at which athletes can activate force—increase as well. Recruiting muscle fiber is only part of the equation. Neuropriming also improves the brain’s natural processes for learning and retaining information, helping athletes acquire fine motor skills and develop motor unit recruitment at an accelerated rate. This is known as hyperplasticity. From perfecting a golf swing to completing heavy deadlifts, Halo Sport facilitates improvement in form and technique. This persists long after a Neuropriming session. For athletes in reasonably shape it takes a week or two for measurable results. Halo Sport are classified as a safe, non-medical product that not not subject to FDA clearance. Safety is paramount to everything they do, and they’ll continue to engineer products that meet the highest standards of reliability and safety. The Halo Sports Research Lab has also tested their technology on more than 1,200 human participants in double blind sham controlled studies. They’ve shown significant results in improving motor learning, strength, and explosiveness. You can read the research at haloneuro.com/thescience. The neuropriming headset is already in use at several athletic performance centers that train NFL, NBA and MLB, as well as other professional athletes. One of their first partners was the United States Special Operations Command and Navy Seals. They implemented the Neuro Primer for sniper training. Halo Sport Is The First Neurotechnology Of Its Kind Designed For Athletes – SportsTechie blog. The USSA measured notable improvements after completing a Halo Sport training regime aimed at increasing agility and power of ski jumps, which are determining factors in competition. Compared with a control group, ski jumpers that used Halo Sport improved their propulsion force by 13 percent over the control group, and increased the smoothness of their jumps by 11 percent over control. One of Halo’s studies found that a ski jumping team that trained using Halo was able to improve its “jump force” by 31 percent, while a control group doing the same training without Halo improved just 18 percent. Members of the U.S. ski team are training with the device, according to Halo Neuroscience and Newsweek. “Our interest in Halo Sport is driven by the potential of Neuropriming to increase the rate of skill acquisition, allowing for greater gains during valuable on snow sessions and perhaps even fewer total sessions, reducing our exposure to injury. We’re already seeing enhanced learning ability and enhanced power output,” says USSA EVP of Athletics, Luke Bodensteiner. 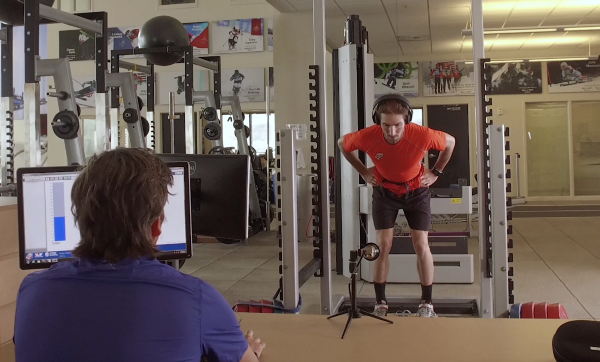 The United States Ski & Snowboard team has been using Halo Sport to train Olympic Ski Jumpers. See how they partnered to unlock 1.7x performance gains. In a research study conducted with the help of MJP, one of the world’s leading athletic training organizations founded by four-time Olympic gold medalist Michael Johnson, Halo Sport drove 12 percent gains in athletic explosiveness. “We know the brain is an untapped resource. With Halo Sport, it’s going to rewrite the way we think about training the body by focusing on what we can do above the neck,” says MJP Global Director of Performance Lance Walker. Following extensive research in a lab setting, Halo Neuroscience turned to MJP to help test Halo Sport with elite athletes. See how Halo Sport unlocked 12% gains in explosiveness. They also partnered with Invictus — one of the nation’s most well regarded CrossFit training programs—to help prepare their athletes for the 2016 Crossfit Open. The athletes paired their existing training routines with a 20 minute Neuropriming session at the beginning of each workout, focusing on lower body explosiveness. Within two weeks of using Halo Sport, these athletes were able to lift five percent more weight across their lower body sets, leading to better competition performances. Halo Neuroscience developed a new neuropriming headset because neurostimulation is the next area of focus with sport and technology. Sports Techie, now everyone can conduct training like an Olympian. Dr. Chao was not at liberty to tell me which three MLB organizations are utilizing Halo Sport during spring training. 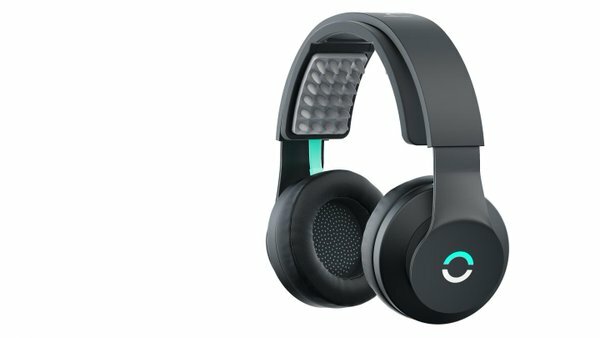 Halo Neuroscience raised a $9M Series A for athletics and stroke rehab neurostimulation. I mentioned to Chao that this technology would be useful for kids and adults with autism. Helping boys and girls with ASD learn to walk, run and jump better is a product many parents like myself would be grateful for. Men and women on the spectrum could harness the power of neurostimulation technology to master throwing or hitting a ball, riding a bicycle or using all the playground equipment as neurotypical people do. My nearly three-year old son is just learning how to jump at his CHOA OT classes and could use a NeuroStim boost from time-to-time in order to jump off two feet for the first time. Many of the children at the Marcus Autism Center I see on a daily basis, especially those with severe needs seem like good candidates for neurotechnology. One thing to note, people with brain injuries are not able to use Halo Sport for safety reasons. The sports tech industry is developing at Internet speed. Thanks to pioneers like Chao and the Halo Neuroscience team, both pro and amateur athletes can implement their cutting edge neuropriming headset to break through existing thresholds and set new workout and skill acquisition standards like never before. Neurostimulation technology is poised to change and enhance sports training worldwide while creating a new business market of NeuroStim training aid products like Halo Sport.